For some time now, my “guilty pleasures” have been found in reading the novels of John Grisham. I'm almost embarrassed to partake in them: the writing is itself not spectacular, and I’m sure that any resemblance to the reality of practicing law in America is of the sort found by comparing Timothy Dalton’s portrayal of James Bond to the actual operations of the British secret service. Nonetheless, I have found joy in much of his writing. In large part, it has been due to the obviously-invented intricacies in the plot lines: the mysterious informant in The Pelican Brief, the terror-stricken life of The Broker, and (of course) the web of lies exposed by the naïve law-school graduate who finds himself hired by The Firm. Many of his books have also made excellent movies, though of course Hollywood’s abbreviated version never truly does justice to the 300-plus-page written story. I’ve actually read almost all of his books. I never got around to Skipping Christmas, and I just saw on his Web site that last year he published a new football story called Playing for Pizza, but I’ve managed to find and devour every “legal thriller” he’s concocted. Lately, though, I’ve been less than thrilled. A couple of years ago he wrote a non-fiction account of a baseball player’s legal troubles in The Innocent Man. Don’t ask me how that one turns out; I quit reading after just a few chapters due to his obvious and blatant bias toward one perspective of the story. 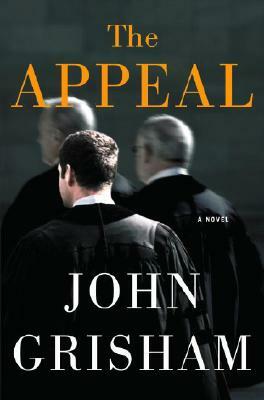 And today I finished reading his most recent work of fiction, The Appeal. Suffice it to say that I’m no longer a fan. My interest in his writing has dramatically waned, mainly stemming from the fact that I now find him bludgeoning me over the head with his personal point of view. When I read fiction, it’s for fun; I don’t want my entertainment to be wrapped around a heavy dose of someone else’s ideology. Whether I agree with his moral stance is immaterial: I’d rather be entertained by suspense, drama, and intrigue than be immersed in the intricate details of litigating and political campaigning from either side of the fence. In short, I don’t think I’ll be anxiously awaiting Grisham’s next novel. Whether he goes the fiction or non-fiction route, I’m not enjoying the road he’s taking. And since I had been turning to his writing explicitly for the enjoyment of it, all reason for partaking in this “guilty pleasure” is now gone.